When DAZ Studio is finished rendering an image into a new window, we have the option to save it. But if we don’t do that, and there happens to be a power cut (and your computer is accidentally not connected to a UPS), where does that render go? Is it lost forever? Or is it saved somewhere secret? If you can’t see the AppData folder, make sure you’re displaying hidden files and folders in Windows Explorer (under View – Options – Change folder options – View). The Library can be reached when holding down CMD and selecting Go from the Finder menu. Each temporary render is saved as a random letter or number. Note that as soon as you restart DAZ Studio, this folder is cleared! 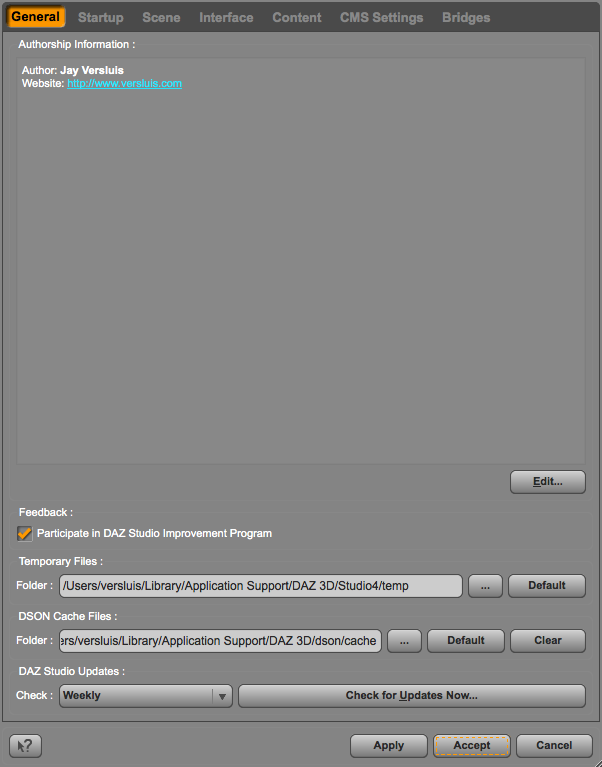 So the procedure upon DAZ Studio crashes or power cuts is to rescue those renders first, then restart DAZ Studio. You can change the location of this folder under Preferences – General.